Дарина wrote: Евгения прооперировали вчера. Чувствует себя лучше. Евгений вернулся домой из больницы. Возвращение в профессиональный спорт после операций в нашем центре - это то, к чему мы стремимся! Но Евгений Плющенко @plushenkoofficial побил все рекорды, вернувшись на лёд уже на 7 день! Подтверждаем, у Евгения не только выдающий спортивный талант, но и несгибаемый характер! https://rsport.ria.ru/20190201/1550...7 ... EWWHAp4DLg -the infamous Volkov's interview - I don't like it, I disagree about Eteri. Plush defended his co-worker, Volokov is working on his Academy: https://rsport.ria.ru/20190203/1550320014.html I don't like the highlighted part. Eteri is a super trainer already! Figure skating coach Alexander Volkov in an interview with RIA Novosti did not allow insults to his colleague Eteri Tutberidze, but expressed his true opinion, said two-time Olympic champion Yevgeny Plushenko. Coach Volkov, who works at the Plushenko Academy, in an interview with RIA Novosti expressed the opinion that Tutberidze, in working with junior athletes, "squeezes out of them what can be squeezed out." Later, the Olympic champion in ice dancing, Roman Kostomarov, called Tutberidze’s criticism a manifestation of envy. “The man, the coach, with whom I work on the same team, expressed his opinion. And everyone has the right to his opinion. He did not insult anyone. He did not insult Tutberidze in any way. He said in the case that there was no one in her group adult athletes who today ride the same quality as at the age of 14. Who did he insult anyone with? ”, said Plushenko in a telephone conversation with a RIA Novosti correspondent. “He correctly said that (in the Tutberidze group) there is a technician Seryozha Dudakov,” the agency’s source continued. “And what he said as it is, in general, is, this is his right. Someone says, that this is envy. There is no envy, just a specialist Volkov, who has been working as a coach for 15 years, tells the truth. " Plushenko noted that what Volkov said in an interview is a specialist’s reasoning. “He tells how (the current junior world champion Alexander) Trusov was not wanted to be taken (to the rhinestone“ Crystal ”), how he (Volkov) insisted that they took her, how Viktor Kudryavtsev helped him in this matter. Whom did he insult? he didn’t say about someone that he was a bad coach, ”he added. “He made it clear that Tutberidze’s cool team, but her group of adult athletes isn’t. And why not, if she’s a super trainer? 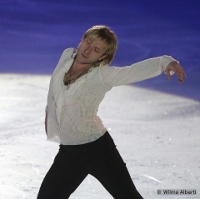 So there’s a certain kind of slat,” Plushenko said. “It's a cool strap, but limited by the age of the athletes at 14-15 years old. This is great, but we need more mature athletes. That's what he (Volkov) said. Volkov told a story. The truth. " Two-time Olympic champion in figure skating Evgeni Plushenko told RIA Novosti that he liked the telecomments of his long-time rival, Olympic champion Alexei Yagudin, with whom he is ready to make peace. Conflicts between athletes began after Yagudin left in 1998 from coach Alexei Mishin to Tatiana Tarasova. Plushenko trained from Mishin continuously after moving from Volgograd to St. Petersburg in his childhood and until the end of his career. Now Yagudin comments on figure skating competitions on the First Channel. “I even sometimes began to love Alexei Yagudin. I hear his comments on how he responds flatteringly to me, so I also begin to“ love ”Lesha. Of course, as a commentator, and not in terms of“ male friendship. ”If this story continues in in the same vein, I’ll "fall in love with him", said Plushenko on the phone. - it seems after those kind and funny agreement on the Russian guys at ECH he thought they can make normal their relationshp. But the journalist made a big mistake their rivalry started when Plush arrived in St. Peter at his 11. Yagudin did many bad things against him in the past but he was ready to make it. Plushenko's wife Yana Rudkovskaya who is a very divisive personality but undoubtadly talented, smart, strong workaholic business woman. And definitely not the best housewife. Many Russians hate her for it in Russia. She is Plush's and some other Russian stars's agent. He gave a long interview https://www.sport-express.ru/figure...r ... y-1509123/ -google translate. She is not a FS expert but this interview was great. I agree with her. Producer and businesswoman - about the possibility of reconciliation of her husband Evgeny Plushenko with Alexei Yagudin, speeches Medvedeva and Zagitova, as well as about the fans, who water the skaters with mud. - Evgeni Plushenko recently supported coach Alexander Volkov, who opposed Eteri Tutberidze. The reaction of many fans was tough. Deservedly? - Of course. Zhenya is a young coach, he is just starting, but he has his own opinion. Like Alexander Volkov, who has been working as a coach for 15 years and discovered Sasha Trusov. 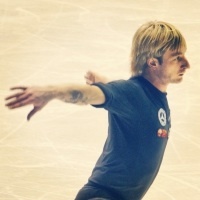 Unlike many athletes, Plushenko did not finish in the 2000s, but continued his career after Turin and went to Vancouver, when there was quite a problem with figure skating in Russia. And he took second place there, losing to Evan Lysacek, who didn’t jump to a quadruple with Eugeny's clean cascade 4-3 in both the short and the free. Everyone remembers how Eugene was outraged by the result, and it was thanks to the wave he raised that they changed the rules and increased the cost of quadruple jumps. And now almost all top figure skaters and even figure skaters are already jumping them. Figure skating went ahead, then Zhenya won the Olympic gold in Sochi, skating the full Olympic cycle. In the team tournament he set the winning mood, became the only four-time Olympic medalist in modern history. Such a professional is entitled to their opinion. He is a great strategist! Of the 36 athletes who came to Sochi to the Olympics, 29 called him their idol and said that it was an honor for them to compete with him on the same ice. He is very much in demand in a show abroad, his interviews are translated into all languages of the world, invited to a sports Oscar. Why can not he say what he sees fit? He has a strong team - Sasha Volkov, Martin, his wife, Ksenia Ivanova. Nastya Tarakanova has good chances next year. It's a shame that did not work in the championship of Russia among juniors. It was the third, became the seventh. Zhenya, unfortunately, became very sick, if he were there, Nastya would be in a three-four, I know what mood he gives the guys and how he charges before the start. - Do you think that Evgeny and his academy can challenge our best coaches? - I see how they are training. Of course, many people know that Zhenya is helped by serious sponsors, our friends, and I attract them as well. Some children are paid scholarships, paid athletes apartments, costumes, fees, programs. There are prize, and very solid. This is not government money, like other schools, but sponsors, a private academy. The Federation is very good at Eugene and his team, there is always support. Attracting sponsors is a correct, interesting model, in my opinion. Families don't think about spending. Eugene has a lot of such children. They are still small, but will soon grow! As for Tutberidze, I really like the girls who study with her, I follow their life. Subscribed to them on Instagram, and they are on me! (laughs) We were rooting for them at the Olympics, Alina and Zhenya brought us gold and silver. But, unfortunately, not one girl left her. Yulya Lipnitskaya, who is now riding with us in the show, is an amazing athlete, sincere and great professional. Zhenya Medvedeva, Nastya Tarakanova. Gone, apparently, not just. - Does this indicate any problems? - Some leave - others come, this is life! I would like these 12-15-year-old girls to reach the Olympics, to be long-livers in sports. Like Slutskaya, like Plushenko, like Tanya Navka, Roma Kostomarov, Alexey Yagudin, who triumphantly went through more than one World and European Championships and more than one Olympiad. Alexey Nikolaevich Mishin - an outstanding trainer of our time. He did not abandon his children, not when Zhenya was 27, not when 31, and he believed in him after fifteen transferred operations! In spite of the fact that he also had young and very promising athletes who showed great promise. Mishin always bet on the talent and experience of Eugene, appreciated him. Therefore, for me, a great coach is Mishin. Who now has Liza Tuktamysheva, and in fact, she was all written off last season, there is a European champion, Samodurov, for whom no one really bet. He works himself, he is a techie. And gives what is most appreciated - quadruple jumps, Axel three and a half turns. Zhenya and I have passed two Olympiads and I know what I'm talking about. - Many people cite the following argument: "Tutberidze brings results, and where is the result of others?" - I am very impressed with Eteri: she is ambitious, young, and bold. She has already proved everything to everyone. Her girls beat world records in both points and age settings. And it is foolish not to admit that with her arrival the female Russian solo skating became powerful, equally daring and ambitious. But I want to note that she also has coach Sergey Dudakov, legends about his technique! This is a gorgeous tandem, followed by the whole world of figure skating. - But this season, this tandem does not all work with adult wards. - Perhaps this is temporary. Moreover, Alina Zagitova and Zhenya Medvedeva, who can still be considered a student of Tutberidze, are replacing Shcherbakov, Trusov and Kostornaya. And there are about a dozen girls on the way. What will happen next? It will be a very interesting story. - Would you give your child to train to Eteri? - If my child was in such a company, and did not jump the quadruple ... I would probably give it to a coach who would teach an axel, otherwise how to deal with such rivals? And having so many leaders in a team is not only a plus, but also a big responsibility to the athletes and to their ambitious parents. And a big problem for the coach: you will not be good for everyone. Partly, and hence the situation around Medvedeva. Only a very strong woman can manage this process. Such women and coaches are not like in Russia - in the world you can count on fingers! Tatiana Anatolyevna Tarasova is being replaced by her modern version - Eteri Georgievna. This is great! - How do you hysteria in social networks, which has risen around Zagitova this season? - We have a country like that. So interesting fans that you can instantly turn from a hero into an anti-hero. In Sochi, Eugene first brings 19 points in a team, wins gold, literally carries him on his hands, then a screw breaks in him ... And although he changed after an arbitrary program in a team, neither Sergey Voronov nor Maxim Kovtun were ready to speak. They all had their own reasons, perhaps they will remember them many years later. Eugene, if not the first one was in the warm-up and performed on painkillers, the screw could touch the spinal cord. He could die on the ice! Maybe someone from this and it would be easier, I do not know. No country in the world has such fans as in Russia. I do not even want to call many of them fans, it’s from the word to hurt, not tryndet. There are people who travel around the world and support the guys. But there are those who constantly throw mud. What site you can not open-Zagitova and Medvedev! And in full - and one and the other! Comrades dear, they are cool, they are Russians! Moreover, they are still very young girls. What are you speaking about? - These are logical consequences of popularization, isn't it? - But it should not be poured into this! Less than a year ago, they were the best at the Olympics in Korea, thanks to them we once again became proud of the women's skating, after many, many years. Thanks to them, now even the championship of Russia on Channel One is shown. The schools of figure skating are overcrowded, girls want dresses like Zagitova’s, and music like Medvedeva’s. Thanks to Zhenya, including her performance in Lausanne, our team, in principle, won the right to speak at the Olympics. We received 16 years after the most powerful male confrontation in the history of Plushenko and Yagudin the greatest confrontation of two Russian girls. Guys, wake up, this is our pride! - Do you think such a heat of passion only here? - I know Japanese fans well, and my husband and son ride on the show. I go there for 13 years on the show. And there no one would have allowed himself to offend statements against Yuzuru Hania or another figure skater. Even some short-sighted conclusion, no matter what happens. And here's the result - Yuzuru is going slowly but surely to his third gold medal at the Olympics. Through injuries, feeling how they are waiting for her, how they love him. Japanese athletes support and in grief and joy. That's what I understand - the fans, the fans! - In recent weeks, after publications in the media, the old confrontation between Yagudin and Plushenko sharply escalated. Do you understand when it started? - It is difficult to talk about opposition here when they last competed back in 2002. Alexey finished already then, and Eugene, 12 more years, performed and won after three only Olympic medals, not to mention all the others. And during this time there were pleasant moments when Alexey spoke at the 30th anniversary of my husband, for example. They were ugly - when he walked through the channels during the Olympics in Sochi, he told me that Zhenya was simulating and that they had to give way to young people ... And it came to the point that Channel One showed Plushenko's operation live to prove the reality of the injury. After that, everyone who allowed himself to apologize was apologized. In addition to Alexei - he walks and lowers his eyes. Before Sochi everything was fine, but more ... It is a pity that Alexey began to behave this way. Somehow not a man, not a human, not a kid. - What is the reason? A career is long over, what to share? - Who knows what I mean, he will understand. Now there is a division of the ice business show. Eugene gave the road to the young, for the fifth year already, as a result, we all see and know. Probably there was a fear to get a strong player in the market not under the brand “Ilya Averbukh Represents”, they were afraid of breaking their monopoly at that time. Plushenko skated almost all the time abroad and in sports, and here he stated that he planned to do the show in Russia. And this is a strong competitor! That ran through the channels. Disgusting it all. - The harsh world of show business, you know. - Let's take show business, stage. Svetlana Loboda during three sold-out concerts came to the hospital, was operated on. Concerts moved, all the artists supported, sympathized. No one in this life is immune from anything! So what else needs to be understood is that the world of show business or the world of sports is tougher. Weakly imagine that someone from a friendly or unfriendly artists would walk through the channels and expressed their conclusions in order to sink a colleague. The result is that Sveta has sold out, and after the Olympics, Zhenya became the most popular Russian athlete according to VTsIOM. I don’t want to talk about his show, everyone loves and goes, he gives Adeline and Yule the main roles in their shows and supports him always and everywhere. As I. - Eugene, for his part, is ready for reconciliation, a question for Alexey? - Who told you that? I have not heard about this, this is exactly the media fantasy. I have an ambiguous attitude about reconciliation. But Eugene recently calmly treated this, says: "Oh, Alexey, I said something good about me, look at you." And he already has a smile on his face. I find it difficult at all: my mother in the early 2000s was rooting for Alexei, and I — for Evgeny. I like Yagudin as an athlete, after so many years he remains an idol for many. Ksenia Sobchak asked in an interview with Ilya Averbukh: "Who do you think has done more for the history of figure skating?". Ilya answered: "Alexey". Understandably, they have the same "employer - employee" relationship. I would be more realistic and would not be judged from the point of view of someone who works for the show, but by the number of medals and Olympiads passed. Xenia, by the way, also objected. - Judging by your words, no handshake should be expected. - I can give you many examples. Here, Yuzuru Hania, a great friend of my husband, skated a program with Zhenya's music in Moscow, almost in the same costume, only in Zhenya she was called “Dedication to Nijinsky”, and from Yudzur - “Dedication to Plushenko”. All the channels of the world say that one double Olympic champion dedicated a program to an idol, another two-time Olympic champion, a Russian legend. And only on the First Channel in Russia did not say anything. Commented on Alexey Yagudin and Tatiana Anatolyevna. Is it like envy or lack of professionalism? To groan and gasp in the air and miss such things, and then the viewers, not understanding, write in the comments: “And what kind of Zhenya does he thank for everything during the show of ratings, is it something for Medvedev?”. And on the TV Match Maxim Maxaim Trankov said everything. Tatiana Anatolyevna can forgive everything, she is a great woman, but Alexey ... In general, the world of sports is very interesting, I can tell you. - Pupils have to experience the same pressure? - I know that our son will not be easy, but we knew where we were going! I think, compared to what his father passed, this whole world of sport will seem to him a slight fright. But it can be justified by the great love of the family and the boy himself to the great art on ice called figure skating. I remember how Eugene last year restored the axel to three and a half turns to Maxim Kovtun. Two weeks succeeded! When Maxim approached him, Plushenko even this axel jumped in dispute with him! Show me another such trainer who can not only tell, but also can show on the ice! Remember my words - there will still be stars and champions in Plushenko! Just give them time to grow.